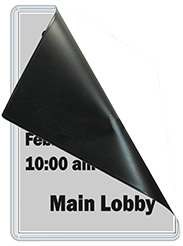 These flexible vinyl magnetic sign holders are perfect for displaying and protecting printed signs that must be available or changed frequently. It's easy to insert your sign into the long side opening. The clear cover protects it, and the strong, full magnetic backing assures a firm hold to any metal surface. Use them on metal doors and lockers, file cabinets, metal shelving and carts and metal walls. 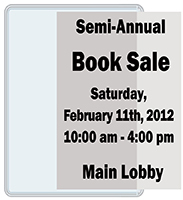 Heavy duty and durable vinyl pockets, they have a strong, solid magnetic backing and especially durable, die-cut seams. Our vinyl holders are MADE TO LAST and manufactured with pride in the USA. Packaged in convenient 10-count poly bags and available in a variety of sizes. We offer additional discounts for higher volume orders and next day shipping. 8.5" x 14" 4" x" 6"